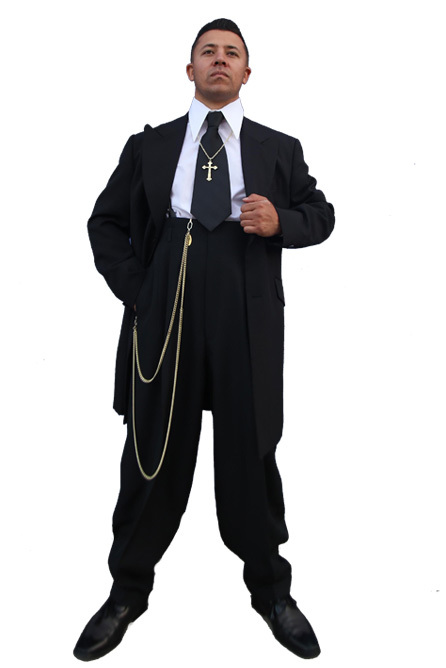 Suit includes: coat, pants and suspenders (all other accessories are sold separately). 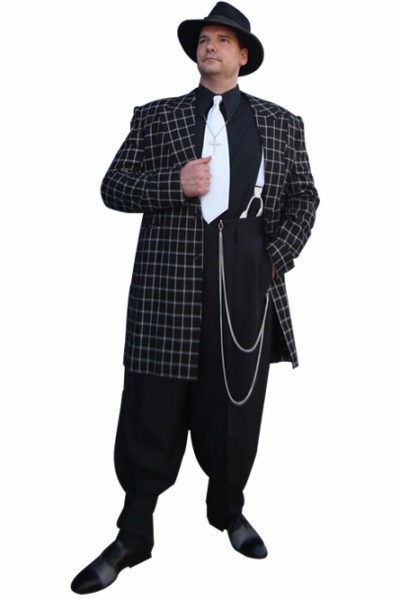 Suit Size -All Zoot suits are sold with a 6″ difference between the Chest and Waist. A size 34 chest will have a 28″ waist. A size 36 chest will have a 30″ waist. A size 38 chest will have a 32″ waist. A size 40 chest will have a 34″ waist.